Mag Wheel Master alternative model rendered. Mag Whell Master has initially released as Set 8417 in year 1998, and then in year 2002 it was released again as Set 8430. The two versions released don´t have significant diferences between them. The diferences seems to be only in the extra parts. Set 8430 as one more "Technic Pin with Friction and Slots" that 8417. 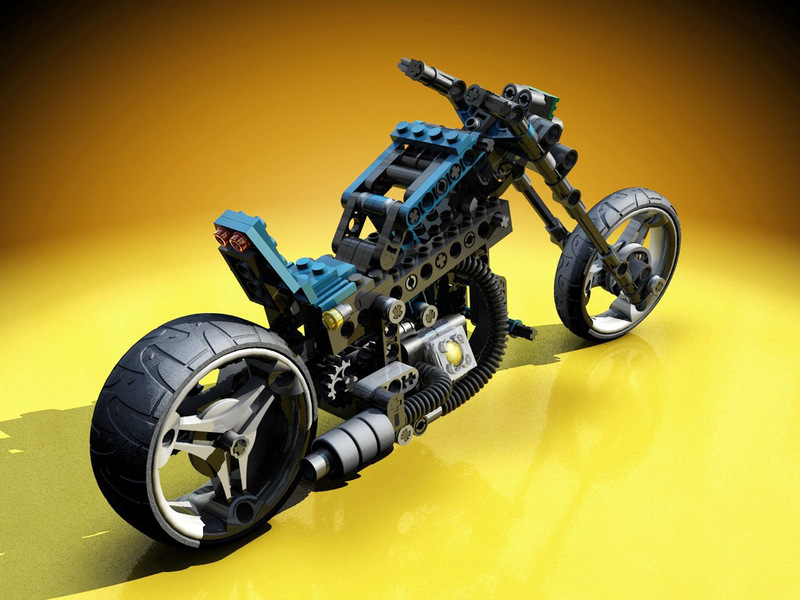 This is also a great historical Lego Technic Motorcycle set because it shows a very the turning point between old and new parts from Lego Technic (stud/studless). The both types of parts in this set shoes the potential of the new parts, creating a more organic model. 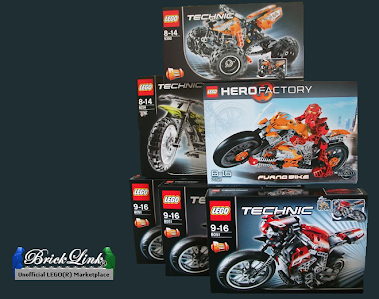 The Alternative model of this set is almost most popular, if not the most popular build of the Mag Wheel Master. Searching for this model I´ve founded allot of images to the alternative model. I personally think both builds are very good. Also the wheels presented in this set are really cool, but this wheels and the model is a bit smaller than the more recent LTM sets. "warag" made this nice renders of the alternative Wheel Mag Master "in c4d, has about 160K polygons."